Head to the north of Tirol and you’ll find Tiroler Zugspitz Arena, a destination flanked by the ruggedly beautiful mountains of the Wetterstein Range, Mieming Range and the Ammergau Alps. 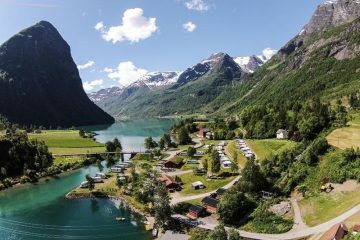 Understandably, it’s pretty well stocked with incredible outdoor adventures, and the mountains, forests and rolling hills serve as the perfect playground. Hidden among them, you’ll find countless alpine lakes of all shades of blue that are worthy of the hours it takes to hike to them. In fact, the entire area is perfect for hiking, with the sheer and rugged limestone mountains forming an imposing but remarkable backdrop all around. 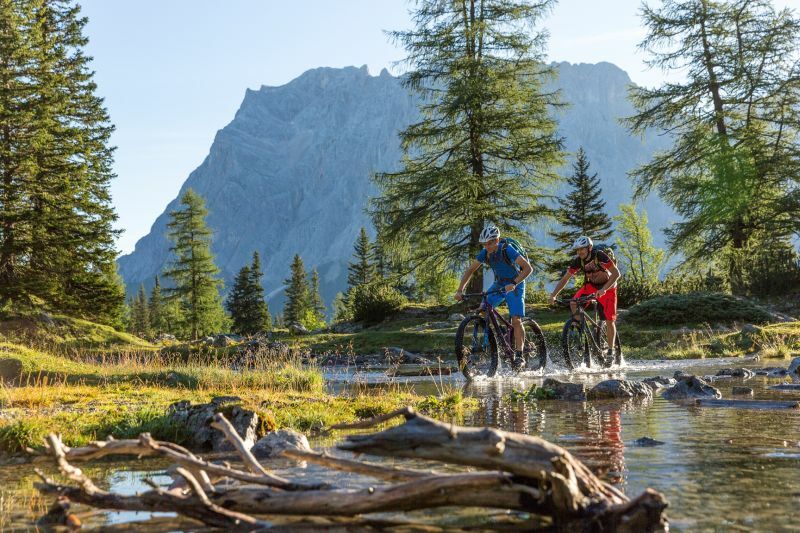 Tiroler Zugspitz Arena offers the best of both worlds for cyclists. 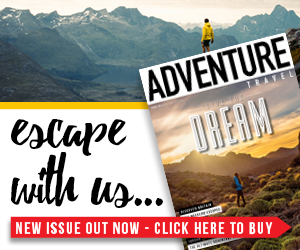 It has quiet country roads for those seeking a more leisurely experience, and rugged singletrack for those that want something a bit more challenging. There are many cycling routes in the area that offer spectacular views of the Alps and the gently rolling terrain, making it a ride to remember. Among these, there are plenty of day rides for you to tackle. Stage 32 of the Bike Trail Tirol is just one such option. This 23-mile ride is certainly a challenging one, with 1,381m of altitude gain, but the breathtaking views along the way will more than make up for the tough work. The route starts in Imst and runs to Ehrwald, taking in the superb mountain pass of Marienbergjoch Saddle along the way. 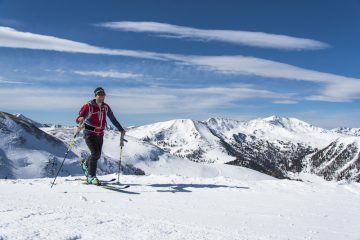 Expect a tough workout, unparalleled views of the nearby mountains and a feeling of satisfaction at the end of the day. While the above is perfect for taking it steady and enjoying the views, those of a more active persuasion will be glad to hear that there is plenty of fantastic singletrack mountain biking nearby. The Blindsee Trail is a prime example. Taking cyclists from the Grubigstein mountain (accessible by cable car from Lermoos) to Blindsee Lake. The trail is challenging, but is one of the highlights of the area. As tempting as it is to try and bag a summit with each hike, there are other elements of nature that are certainly worth seeking out. 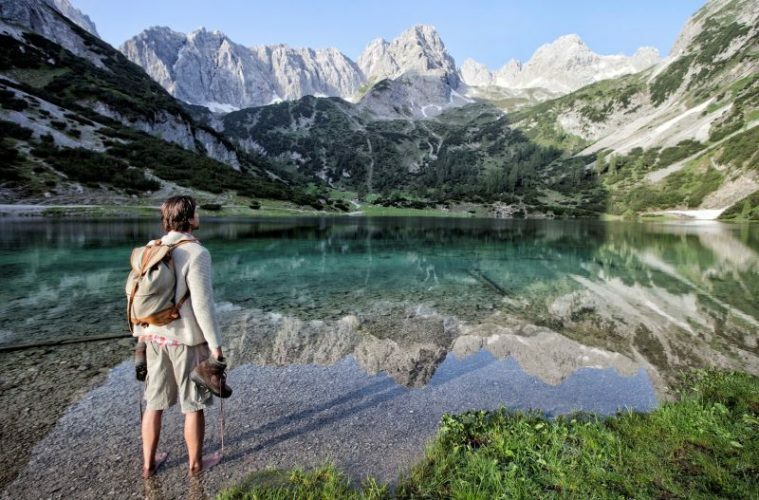 As the Tiroler Zugspitz Arena is home to so many gorgeous lakes, it seems silly not to explore them. 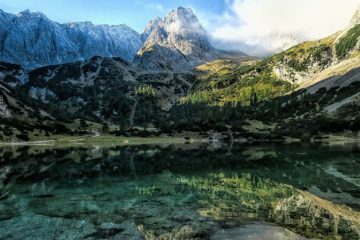 Seebensee Lake is one of the most beautiful bodies of water in the region, and with its bright turquoise water starkly contrasting with the green pastures around it, and the imposing grey of the mountains behind, it’s a scene that looks fit for a postcard. The route starts at the Ehrwalder Alm (you can take the Ehrwalder Almbahn up to this point if you choose) and leads you through the valley and the pristine Seebenwald forest to the lake. 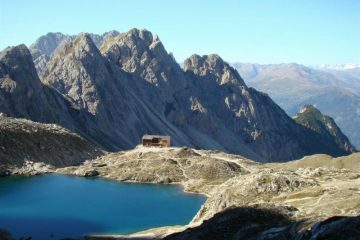 It’s just a few miles there and the same back, but before you do return, head on to Coburger Hut, where you can also enjoy the attractive Drachensee Lake (the highest lake in the area at 1,910m high) before heading back. Oh, and don’t forget to take a dip in one of the lakes – it might be cold, but it’s a refreshing way to break up the hike! 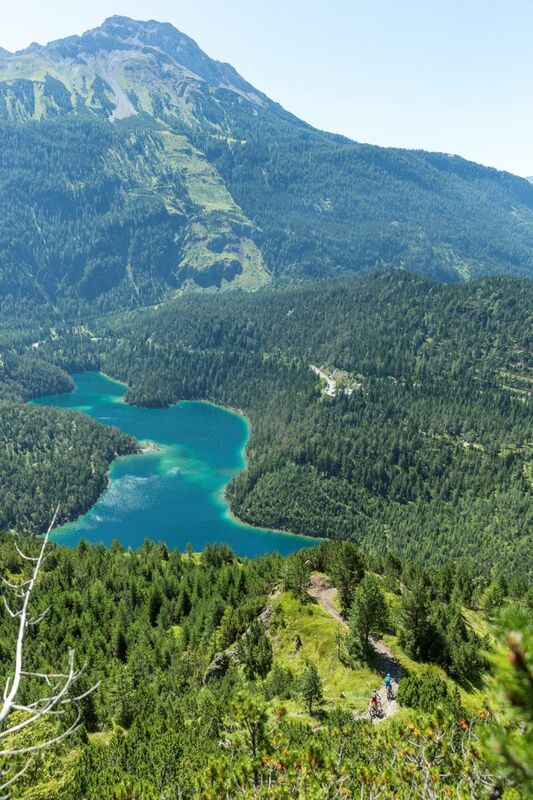 Other lakes that are great options for a visit include the Blindsee on Fernpaß and Heiterwanger See, on which you can take boat trips, go swimming or try stand up paddle boarding. Alternatively, why not cycle along the lake’s shore for another perspective? 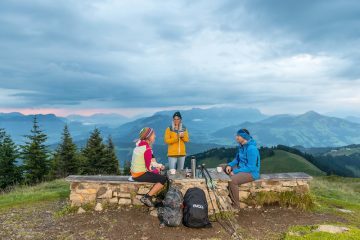 Throughout Tirol, there are programmes for free guided hikes in the summer months, and it’s the same in the Tiroler Zugspitz Arena. Every guest that stays for at least one night is given a guest card by their hosts, and this can be used for local transport and a series of guided hikes in the valley and the mountains. See www.zugspitzarena.com/en for more information. “During the daytime, thousands of people come to the Seebensee Lake, but for me the best time to be here is in the evening when things are quiet. The light is different and you can smell the mountain pine. You can’t see the Zugspitze mountain from here, but you can see the Wetterstein range. As the sun goes down, the mountains are bathed in hues of red and orange, just like the Dolomites. There is a certain aura. I love working as a mountain rescuer and mountain guide, but I also need time for myself – even if it is just an hour. Often I will come here, sit down and enjoy being alone. This is the place where I can recharge my batteries and find peace. Everything is so far away. You don’t have any worries here. 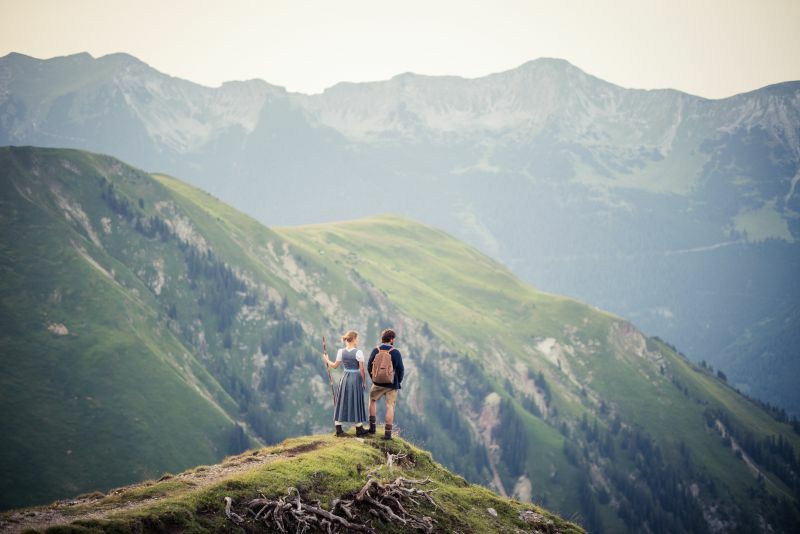 Maybe more people should come here to the lake and get away from it all for a few moments.” Discover more fascinating insights from local residents at www.love.tirol.